Como me trata y habla, con claridad, hace que todo se entienda, da confianza para que puedas hablar sin problemas ni hace que te sientas confusa, da muchísima confianza. 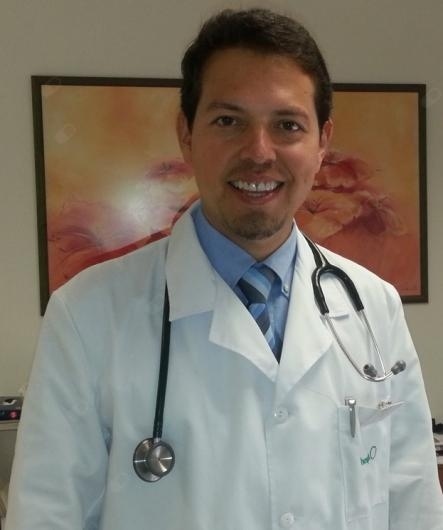 Es el mejor médico que he conocido, muy humano, me ayudó muchísimo. Gracias por el comentario, intentaremos mejorar la demora que en algunas oportunidades se genera con el propio desarrollo de la consulta. Un cordial saludo. Muchas gracias por su comentario. Intentaremos poder ofrecer más días de consulta por la tarde pero ello esta sujeto a la disponibilidad de consultas. Un cordial saludo. Mas días por la tarde. El doctor muy bueno y atento! Su profesionalidad, amabilidad y la manera clara en la que me explico lo que tenía. Magro-Checa C, Orgaz-Molina J, Lafèbre SR, Rosales-Alexander JL, Arias-Santiago S, Raya E. Morphea-like plaques, induration of the extremities, and eosinophilia. Cleve Clin J Med. 2015 May;82(5):283-4. Rosales-Alexander JL, Balsalobre Aznar J, Magro-Checa C. Calcium pyrophosphate crystal deposition disease: diagnosis and treatment. Open Access Rheumatology: Research and Reviews 2014:6 39–47. Rosales-Alexander JL, Salvatierra J, Llorca J, Magro-Checa C, González-Gay MA, Cantero-Hinojosa J, Raya-Álvarez E. Cardiovascular risk assessment in rheumatoid arthritis: impact of the EULAR recommendations on a national calibrated score risk index. Clin Exp Rheumatol. 2014 Mar-Apr; 32(2):237-42. Rosales Alexander JL, Cantero-Hinojosa J, Salvatierra J, Magro Checa C, González-Gay MÁ, Raya Álvarez E. Cardiovascular risk assessment according to a national calibrated score risk index in psoriatic arthritis patients without clinically evident cardiovascular disease or classic atherosclerosis risk factors. Joint Bone Spine. 2014 Mar; 81(2):164-8. Orgaz-Molina J, Magro-Checa C, Rosales-Alexander JL, Arrabal-Polo MA, Castellote-Caballero L, Buendía-Eisman A, Raya-Álvarez E, Arias-Santiago S. Vitamin D insufficiency is associated with higher carotid intima-media thickness in psoriatic patients. Eur J Dermatol. 2014 Jan-Feb; 24(1):53-62. Magro-Checa C, Salvatierra J, Rosales-Alexander JL, Orgaz-Molina J, Raya-Álvarez E. Life-threatening vasculo-Behçet following discontinuation of infliximab after three years of complete remission. Clin Exp Rheumatol. 2013 May-Jun; 31(3 Suppl 77):96-8. Orgaz-Molina J, Magro-Checa C, Rosales-Alexander JL, Arrabal-Polo MA, Buendía-Eisman A, Raya-Alvarez E, Arias-Santiago S. Association of 25-hydroxyvitamin D serum levels and metabolic parameters in psoriatic patients with and without arthritis. J Am Acad Dermatol. 2013 Dec; 69(6):938-46. Balzalobre J, Porta-Etessam J, Salvatierra J, Villarejo A, Rosales-Alexander JL. The antiphospholipid syndrome as a neurological disease. Journal of Neurology and Neuroscience 2013; Vol 4 Nº 2. Balsalobre J, Porta-Etessam J, Salvatierra J, Rosales-Alexander JL. Tumor Necrosis Factor-alpha antagonist and demielynating diseases. Journal of Neurology and Neuroscience 2013; Vol 4 Nº 3:2. Rosales Alexander JL, Magro Checa C, Salvatierra J, Caba Molina M, Raya Álvarez E. Recurrent parotid pseudogout. Rheumatology (Oxford). 2012 Dec; 51(12): 2169. Magro-Checa C, Rosales-Alexander JL, Salvatierra J, Raya-Álvarez E. Back pain and headaches in a patient with rheumatoid arthritis and Marfan's syndrome. Joint Bone Spine. 2012 Dec; 79(6): 626. Salvatierra J, Magro-Checa C, Rosales-Alexander JL, Raya-Alvarez E. Acute sarcoidosis as parotid fever in rheumatoid arthritis under anti-tumor necrosis factor-alpha therapy. Rheumatology (Oxford). 2011 Jul; 50(7):1346-8. Magro-Checa C, Chaves-Chaparro L, Parra-Ruiz J, Peña-Monje A, Rosales-Alexander JL, Salvatierra J, Raya E. Septic arthritis due to Cellulosimicrobium cellulans. J Clin Microbiol. 2011 Dec; 49(12): 4391-3. Magro-Checa C, Navas-Parejo Casado A, Borrego-García E, Raya-Álvarez E, Rosales-Alexander JL, Salvatierra J, Caballero-Morales T, Gómez-Morales M. Successful use of tocilizumab in a patient with nephrotic syndrome due to a rapidly progressing AA amyloidosis secondary to latent tuberculosis. Amyloid. 2011 Dec; 18(4): 235-9. Magro-Checa C, Salvatierra J, Rosales-Alexander JL, Raya Álvarez E. Cardiovascular risk in systemic lupus erythematosus: implicated factors and assessment methods. Semin Fund Esp Reumatol. 2012; 13: 95-102. Mañero-Rodríguez C, Rojas-Pérez L, Rosales-Alexander JL, Caba M, Gómez-Morales M, Navas-Parejo A. Vasculitis p-ANCA (+) autolimitada en paciente con pre-eclampsia. Nefrologia 2012; 32(2): 265-6. Rosales-Alexander JL, Magro Checa C, Salvatierra J, Cantero-Hinojosa J and Raya-Álvarez E. Assessment of cardiovascular risk in Rheumatoid Arthritis: comparison of two indices and related variables. ACR/ARHP 2011 Chicago- USA. Arthritis & Rheumatism 2011. Vol 63 Nº 10 (Supplement): S803. Magro Checa C, Rosales-Alexander JL, Salvatierra J, Cantero-Hinojosa J and Raya-Álvarez E. European SCORE may underestimate the cardiovascular risk in Psoriatic Arthritis: comparison of two indexes and related variables. ACR/ARHP 2011 Chicago- USA. Arthritis & Rheumatism 2011. Vol 63 Nº 10 (Supplement): S518. Rosales-Alexander JL, Magro Checa C, Salvatierra J, Cantero-Hinojosa J and Raya-Álvarez E. Cardiovascular risk assessment in Rheumatoid Arthritis. PANLAR 2012 Punta Cana – República Dominicana. Journal of Clinical Rheumatology 2012. Vol 18 Nº 3 (Supplement): S10. Rosales-Alexander JL, Magro Checa C, Salvatierra J, Joven B, Cantero-Hinojosa J, Raya-Álvarez E and Carreira P. Cardiovascular Risk Assessment in Systemic Sclerosis. PANLAR 2012 Punta Cana – República Dominicana. Journal of Clinical Rheumatology 2012. Vol 18 Nº 3 (Supplement): S23. Rosales-Alexander JL, Joven B, Magro Checa C, Raya-Álvarez E and Carreira P. Cardiovascular risk assessment in systemic sclerosis using the SCORE chart and reclassification by presence of plaques on ultrasonography. EULAR 2012 Berlin - Alemania. Annals of Rheumatic diseases 2012. Vol 71 (Supplement 3): 239. Rosales-Alexander JL, Magro Checa C, Salvatierra J, Cantero-Hinojosa J and Raya-Álvarez E. Cardiovascular risk assessment in Rheumatoid Arthritis patients using the SCORE chart. EULAR 2012 Berlin - Alemania. Annals of Rheumatic diseases 2012. Vol 71 (Supplement 3): 660. Rosales-Alexander JL, Galindo M, Magro Checa C, Mateo I, Raya-Álvarez E and Carreira PE. Cardiovascular risk assessment in Systemic Lupus Erithematosus patients using the South European and Spanish SCORE charts. 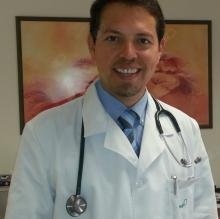 EULAR 2012 Berlin - Alemania. Annals of Rheumatic diseases 2012. Vol 71 (Supplement 3): 677. Rosales-Alexander JL, Joven B, Salvatierra J, Cantero-Hinjoso J and Carreira PE. Atherosclerosis assessment in Systemic Sclerosis patients without cardiovascular risk factors. EULAR 2012 Berlin - Alemania. Annals of Rheumatic diseases 2012. Vol 71 (Supplement 3): 685. Rosales-Alexander JL, Magro Checa C, Salvatierra J, Cantero-Hinojosa J and Raya-Álvarez E. Correlation of ASDAS and BASDAI with disease activity in axial spondyloarthritis. EULAR 2012 Berlin - Alemania. Annals of Rheumatic diseases 2012. Vol 71 (Supplement 3): 689. Magro Checa C, Rosales-Alexander JL, Montes-García S, Salvatierra J, Cantero-Hinojosa J and Raya-Álvarez E. Cardiovascular risk assessment in patients with Ankylosing Spondylitis: comparison of three indexes and related variables. EULAR 2012 Berlin - Alemania. Annals of Rheumatic diseases 2012. Vol 71 (Supplement 3): 407. Magro Checa C, Rosales-Alexander JL, Salvatierra J, Cantero-Hinojosa J and Raya-Álvarez E. Comparison of European SCORE and two national guidelines calibrated for cardiovascular risk assessment in patients with Psoriatic Arthritis. EULAR 2012 Berlin - Alemania. Annals of Rheumatic diseases 2012. Vol 71 (Supplement 3): 571. Magro Checa C, Orgaz-Molina J, Rosales-Alexander JL, Salvatierra J, Arias-Santiago S, Cantero-Hinojosa J, Ruiz-Carrascosa JC and Raya-Álvarez E. Comparison of subclinical carotid atherosclerosis in patients with Psoriatic Arthritis, Psoriasis alone and Controls. EULAR 2012 Berlin - Alemania. Annals of Rheumatic diseases 2012. Vol 71 (Supplement 3): 572. Magro Checa C, Rosales-Alexander JL, Orgaz-Molina J, Salvatierra J, Arias Santiago S, Cantero-Hinojosa J, Ruiz Carrascosa JC and Raya-Álvarez E. Brachial ankle index for assessing cardiovascular risk in patients with Psoriatic Arthritis, Psoriasis alone and Controls. EULAR 2012 Berlin - Alemania. Annals of Rheumatic diseases 2012. Vol 71 (Supplement 3): 573. Magro-Checa C, Rosales-Alexander JL, Orgaz-Molina J, Salvatierra J, Arias-Santiago S, Cantero-Hinojosa J, Ruiz-Carrascosa JC and Raya-Alvarez E. Use of brachial-ankle index for assessing cardiovascular risk in Psoriasis patients and Controls: A pilot study. 3rd World Psoriasis & Psoriatic Arthritis Conference 2012: Stockholm – Sweden. Dermatology Therapy (2012) Vol 2 Nº 10: S26. Magro-Checa C, Rosales-Alexander JL, Orgaz-Molina J, Salvatierra J, Arias-Santiago S, Cantero-Hinojosa J, Ruiz-Carrascosa JC and Raya-Alvarez E. Cardiovascular risk assessment in patients with Psoriatic Arthritis: comparison of European SCORE and two calibrated national guidelines. 3rd World Psoriasis & Psoriatic Arthritis Conference 2012: Stockholm – Sweden. Dermatology Therapy (2012) Vol 2 Nº 10: S27. Rosales-Alexander JL, Magro Checa C, Salvatierra J, Cantero-Hinojosa J and Raya-Álvarez E. Assessment of vascular age in Rheumatoid Arthritis patients. ACR/ARHP 2012 Washington- USA. Arthritis & Rheumatism 2012. Vol 64 Nº 10 (Supplement): S540. Rosales-Alexander JL, Magro Checa C, Salvatierra J, Cantero-Hinojosa J and Raya-Álvarez E. Assessment of vascular age in Psoriatic Arthritis patients. ACR/ARHP 2012 Washington- USA. Arthritis & Rheumatism 2012. Vol 64 Nº 10 (Supplement): S937. Rosales-Alexander JL, Magro Checa C, Salvatierra J, Cantero-Hinojosa J and Raya-Álvarez E. Cardiovascular risk assessment in Spondyloarthropathies using the SCORE chart and reclassification by the presence of plaques on ultrasonogrphy. ACR/ARHP 2012 Washington- USA. Arthritis & Rheumatism 2012. Vol 64 Nº 10 (Supplement): S938. Orgaz-Molina J, Magro-Checa C, Raya-Alvarez E, Ruiz-Carrascosa JC, Rosales-Alexander JL, Arias-Santiago S. Inverse relationship between 25-hydroxyvitamin D and Atherosclerosis in Psoriatic patients. Journal of the American Academy of Dermatology April 2013 (Epub ahead of print). Orgaz-Molina J, Magro-Checa C, Raya-Alvarez E, Ruiz-Carrascosa JC, Rosales-Alexander JL, Arias-Santiago S. Inverse relationship between 25-hydroxyvitamin D and Metabolic Syndrome in Psoriatic patients. Journal of the American Academy of Dermatology April 2013 (Epub ahead of print). Rosales-Alexander JL, Magro Checa C, Salvatierra J, Cantero-Hinojosa J and Raya-Álvarez E. Riesgo de arteriopatía coronaria en pacientes con Artritis Reumatoide mediante la puntuación Framingham. SER XXXVII 2011 Málaga – España. Reumatología Clínica Suplemento Mayo 2011. Vol 7: 79. Rosales-Alexander JL, Magro Checa C, Salvatierra J, Cantero-Hinojosa J and Raya-Álvarez E. Valoración del riesgo cardiovascular en pacientes con esclerosis sistémica – uso de las tablas SCORE vs. Ecografía carotídea. SER XXXVIII 2012 Zaragoza – España. Reumatología Clínica Suplemento Mayo 2012. Vol 8: 159.